Nicole Miller Plush Slipper Socks! Ships FREE! You are here: Home / Great Deals / Nicole Miller Plush Slipper Socks! Ships FREE! 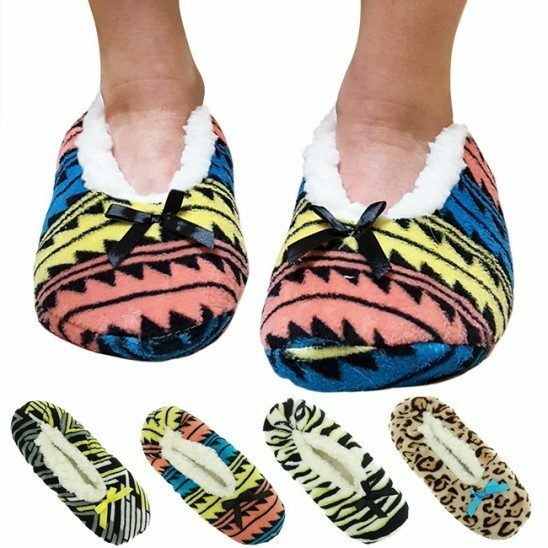 Keep your feet warm and comfy this winter. Order the Nicole Miller Plush Slipper Socks! Ships FREE! You will love these Ladies Nicole Miller Plush Slipper Socks with Non-Skid Bottoms for cold winter mornings and nights! They come in funky designs, with a satin bow – a flair for your feet on a cold winter day. The bottoms of these slipper socks have the Nicole Miller logo that also serve as a non-skid grip for hard floors. You won’t want to take them off, keep your feet comfortable and warm with these beautiful slipper socks!